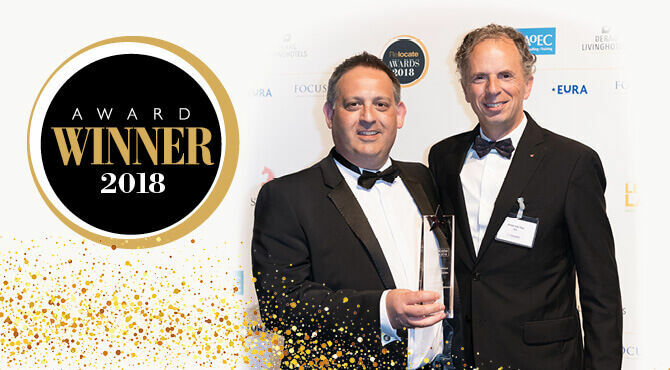 Bournes Relocation Solutions is the winner of the Relocate Award 2018 for Best International Removals Provider for demonstrating exceptionally high performance through its investment in people. The Kent-based international company is adding value and inspiring others by supporting professional development and sharing knowledge to raise standards internally and throughout the global mobility supply chain. To make this happen, last year every Bournes employee participated in ongoing training and development. Training and development needs analysis is also embedded in the company’s internal risk reporting systems, so team members and customers receive the right support when they need it. This people-focused approach has earned Bournes a top-performer status among FIDI/FAIM’s international removals companies benchmarks. Its audited report highlighted excellence in key areas like 100 per cent customer satisfaction (92 per cent industry average) and lower-than-average insurance claims (6 per cent versus 8 per cent), putting Bournes in the top 30 per cent of companies worldwide. Further proof this people-first approach works is Bournes’ impressive employee retention. The average employee has eight years’ service, rising to over 40 years in some cases. Kirsty Parsons herself has been in post for 11 years. Such high engagement is supported by Bournes proactive approach to capturing observations and new ideas from its team. In 2017, it launched the Pulse app as a new communication channel for employees to contribute ideas and improvements to further improve individuals’ relocation and removals experiences. Bournes, a member of the Harmony Relocation network, is generous too in sharing its knowledge and resources externally. Exemplifying the company’s progressive, people-first approach and its solid leadership throughout the global supply chain and the removals sector as both a training and network partner, Bournes won a second Relocate Award this year, for Excellence in Diversity & Inclusion.